The year was 1983 when Ken and Deborah Lund made the decision to incorporate a tree care service company of their own, and so began Four Seasons Tree Care and Service Ltd., located in Stouffville and Richmond Hill. “The Tree Doctors”. 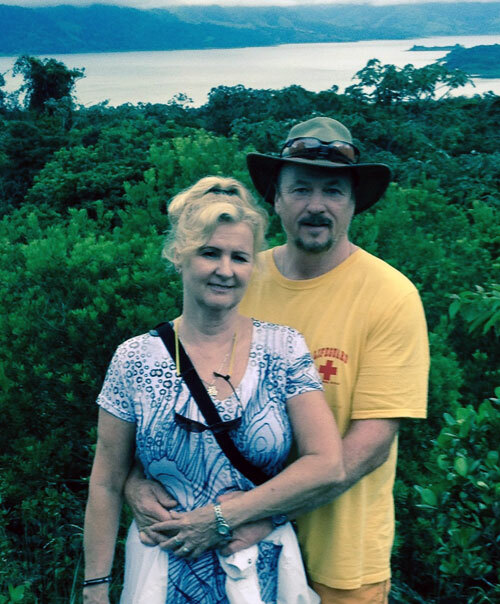 Ken Lund had worked in the tree care industry since his early teenage years and likewise Debbi Lund had gained much experience in small business and accounting prior to taking that first step into entrepreneurship. Founded on the principals of delivering high quality tree care with excellent customer service, Four Seasons Tree Care has come to be recognized as an industry leader serving Aurora, Etobicoke, King City, Markham, Mississauga, Newmarket, North York, Richmond Hill, Stouffville, Thornhill, Toronto and Woodbridge. Industry involvement has become the way of life for Ken, Deborah and their team. Over the years they have served on numerous boards, committees and colleges to promote education, research and safety. As a founding member of the Ontario Commercial Arborist Association (O.C.A.A), Ken served as the treasurer for a period of 15 years and continues to serve on the Plant Health Care Committee for the O.C.A.A. Ken is a past president for the Ontario Chapter of the International Society of Arboriculture and has also served as the Chairman for the Canadian Tree Fund which provides funding for Tree Research projects across Canada. Ken was instrumental in gaining charitable status for this organization. At Four Seasons Tree Care we continue to be successful due to our strong team of dedicated Arborists and office staff who strive for the best in all of their endeavors. All of our tree workers have achieved tree worker certification or are working towards that designation. We also have several Certified Arborists who are able to meet all of your tree care needs. One other component to success in tree care is to promote a culture of safety. We are very proud that our company operates with a “safety first” attitude. Our investment in the education, health and safety of our employees pays great dividends in maintaining a team that is happy, attentive and motivated to offer their best to our clientele. Staying current with the latest in research, education and technology is a key element to providing superior arboricultural services for people who want the best for their trees. We attribute our membership and active involvement in several industry organizations as a fundamental component to our success in this area. Four Seasons Tree Care is a supporting member of The International Society of Arboriculture’s Ontario Chapter, a founding member of The Ontario Commercial Arborists Association, The Tree Care Industry Association, The American Society of Consulting Arborists and Landscape Ontario. Over the many years that Ken and Deborah Lund have operated Four Seasons Tree Care they are very thankful to God for their family and team members as well as all of their many friends and associates who have supported them. They are extremely proud of their son Shane and daughter Joscelyn. Shane is a very accomplished arborist who serves on the “Arborist Safe Work Practices” committee and teaches Arboriculture at Humber College during the winter months. Joscelyn is an honours graduate of Seneca College’s Business Management Program and is a valuable member of the office team. Joscelyn Lund and Shane Lund are well equipped to continue the Four Seasons Tree Care tradition of providing our clients with outstanding arboricultural services.